Bubble teas come in a large variety of yummy and refreshing flavoured fruit-teas and milk-teas served with chewy tapioca balls, that can either be drunk hot or cold. The tea is drunk by through an extra wide colourful straw. 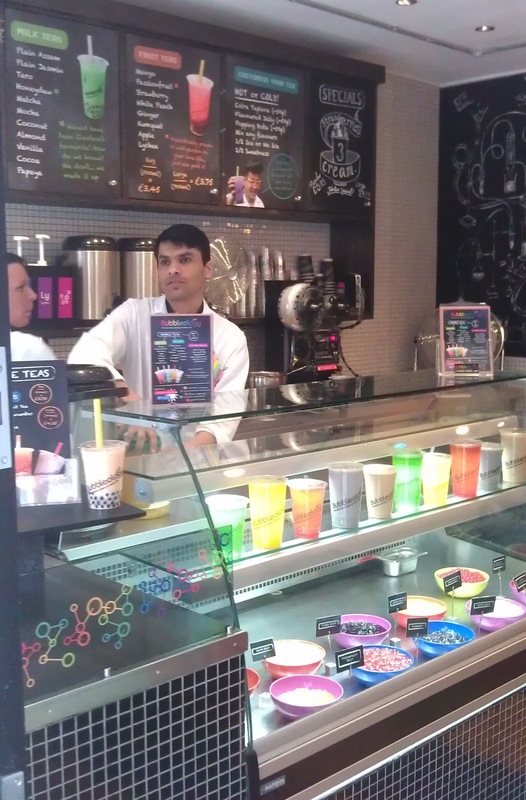 Bubble Teas, also known as Pearl or Boba Teas, seem to be very a popular drink across east and south-east Asia, Australia and North America. It is originally a Taiwanese drink created in the 1980s. The oldest bubble tea was made up of a mixture of hot Taiwanese black tea, small tapioca pearls/balls, condensed milk and either syrup or honey. Adding the tapioca balls actually started off as a novelty although the idea quickly spread. Tapioca balls are made mostly of tapioca starch which comes from tapioca or bitter cassava plant that is native to South America and was introduced to Asia during the 19th century. 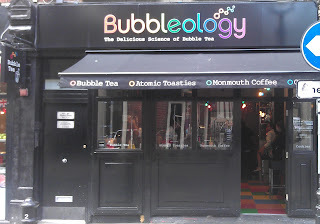 There are many places in London now selling this drink however as I've read some good reviews about one such cafe called Bubbleology I decided I had to pay them a special visit; I was certainly not disappointed because Bubbleology was great. 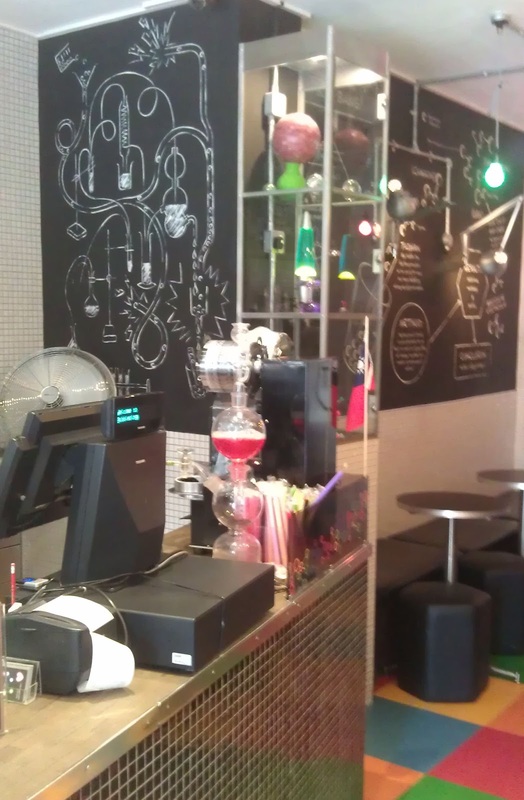 The shop is set up as a quirky science lab style cafe in Soho - (Rupert Street if you're interested). The fun decor was a feast for the eyes, with walls covered in facts from about how they made their bubble tea and a wonderfully large menu. 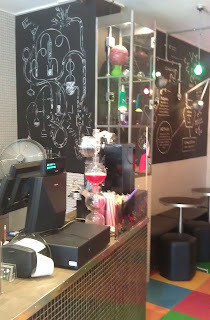 In fact before I'd even tried the tea, the cafe was its own experience! Their "scientists" - as they were styled - were very informative and helpful whilst I excitedly made up my mind over the large variety of options on the menu. I decided to try Taro Pearl Tea after the tea-scientist recommended it as I like sweet flavours. It was purple in colour with black tapioca and a purple straw - I have to say that it was so much better than the one I tried in Melbourne as it was delicious and surprising more filling than I expected. Before I left they kindly allowed me to take some pictures to share with you. I will definitely return on my next visit to London and try some of the other wonderful sounding flavours. 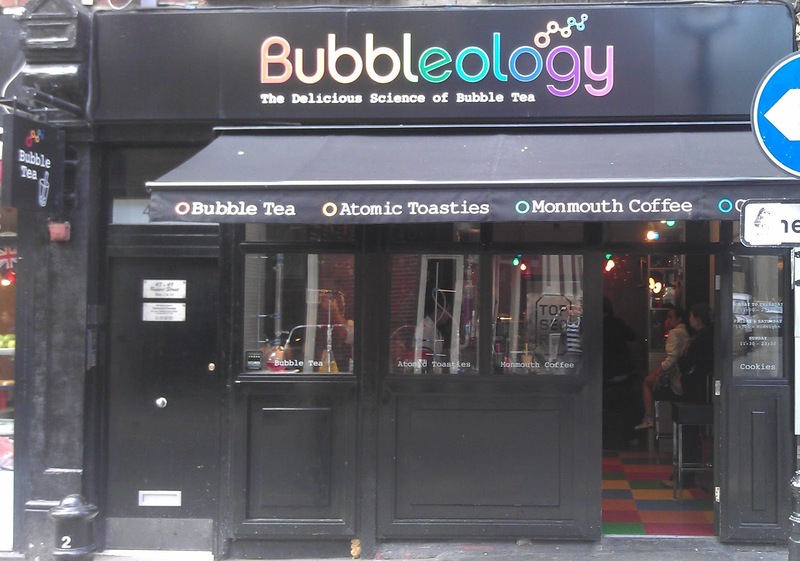 For more details about Bubbleology see their website at bubbleology.co.uk. 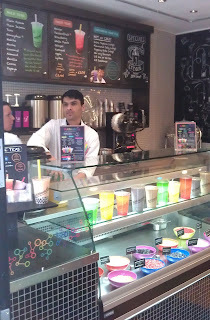 Have you tried bubble tea? I'd love to know what you thought about it.